*I will be a #hosted guest to this event. All opinions expressed are my own. I am very excited October is here! As a child my parents would decorate the house with pumpkins, Fall themed items in the house and spooky fun decor outside. I remember one year my Dad dressed as a vampire. He laid in our red brick flower beds and would rise out of it as kids approached the front door to ring the bell for treats. Oh the giggles and screams that night were so fun. Halloween for me is about making memories as a family and enjoying the creativity that is expressed though decor and costumes. 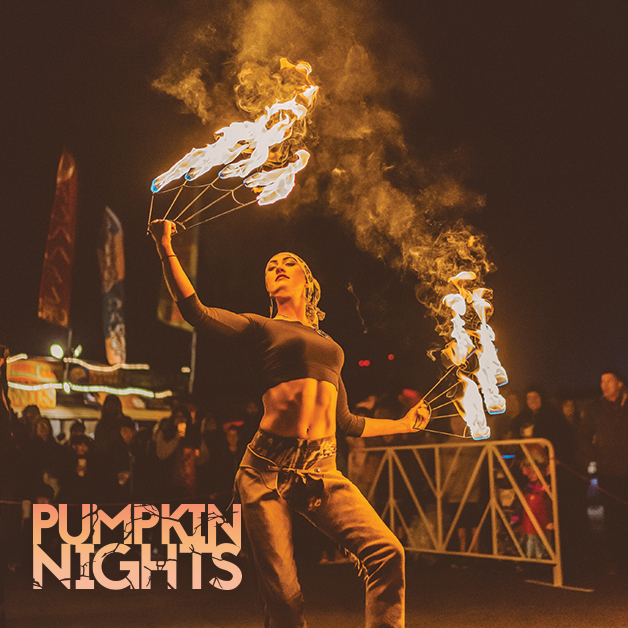 I was invited last year to an event called Pumpkin Nights in Auburn CA. We were unable to attend and that bummed me out since I heard how fun it was. 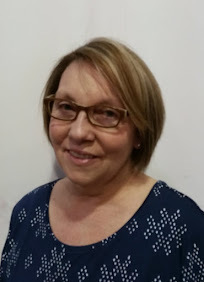 I was elated to hear we were able to attend this year and experience the fun for ourselves! 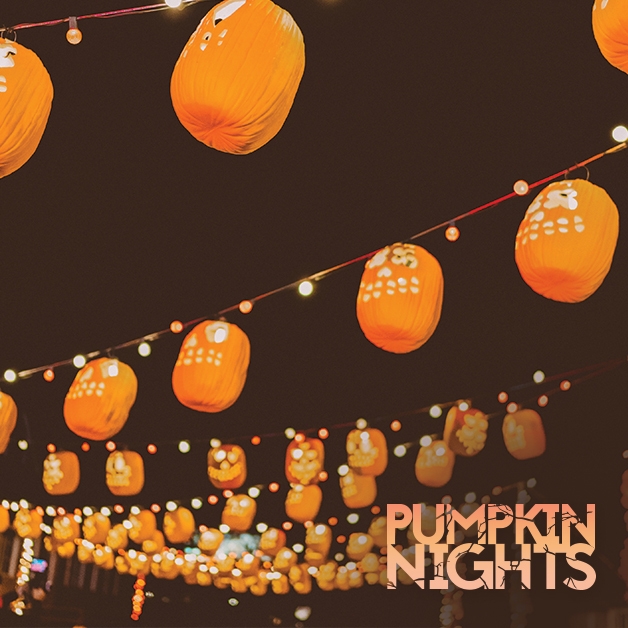 I will also be hosting a GIVEAWAY for 2 tickets to attend Pumpkin Nights for one lucky reader. 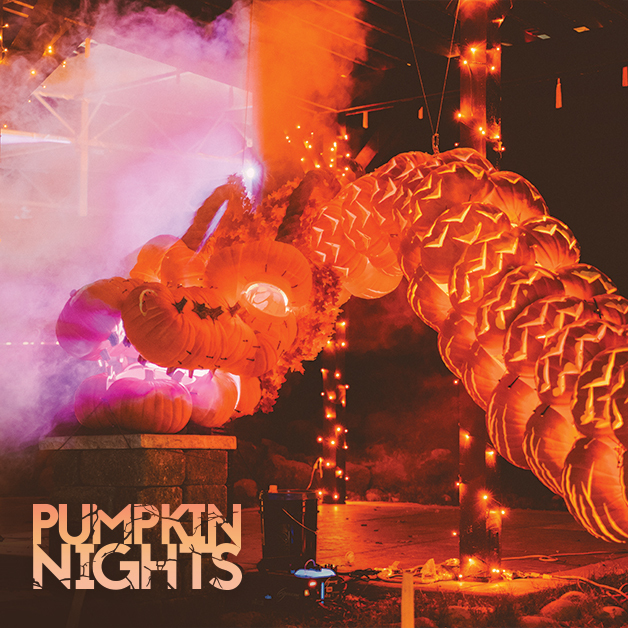 Kicking off on Wednesday, October 17, Pumpkin Nights will bring its interactive Halloween experience unlike anything else back to Auburn. 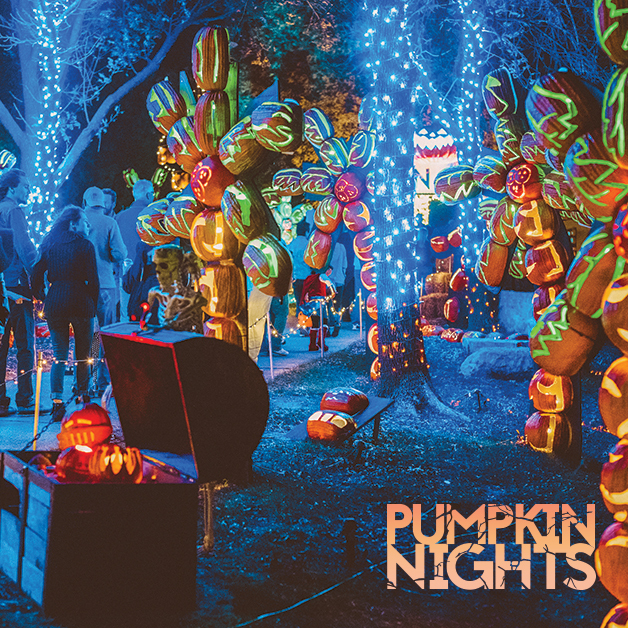 Taking place at the Gold Country Fairgrounds, (1273 High St., Auburn, CA 95603) Pumpkin Nights invites visitors or “Pumpkinheads” to journey into the world of Pumpkin Nights with dazzling, multi-sensory Halloween displays and eight Pumpkin Lands created with over 3,000 hand-carved pumpkins and foam pumpkins. The outdoor, family friendly Halloween experience will be open daily from 5:30 p.m. to 10:30 p.m. until Sunday, November 4 except for on Halloween. 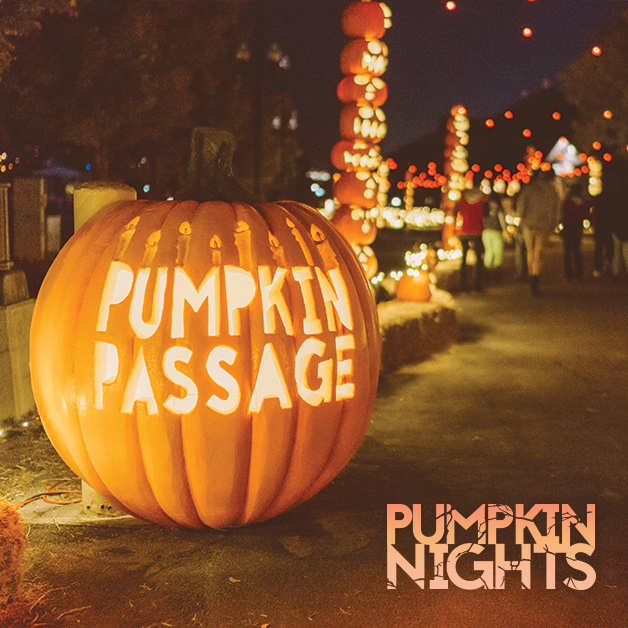 Auburn can look forward to eight immersive Pumpkin Lands including: Pumpkin Pirate Cove, Maravilla Lane, Pumpkin Reef, Spider Alley, Forbidden Pumpkin City, Great Pumpkin Hall, Monster Mash and Pumpkin Passage. 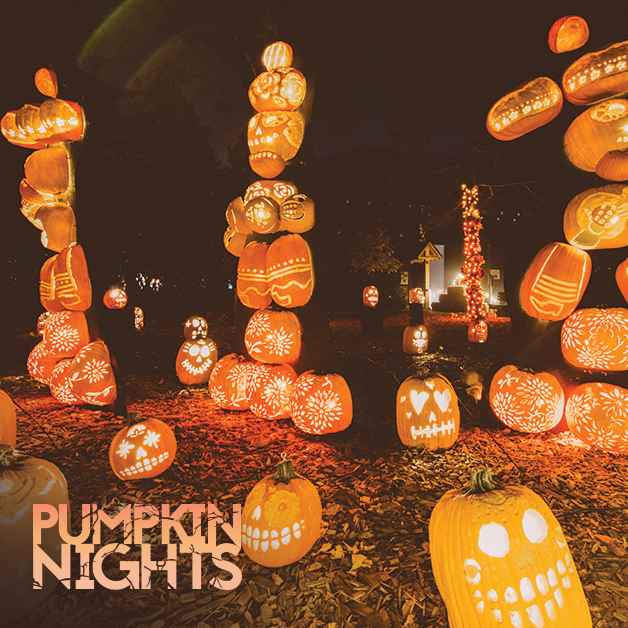 In addition to the captivating lands, “Pumpkinheads” can explore Pumpkin Central to check all the classic must-dos off their Fall bucket list. 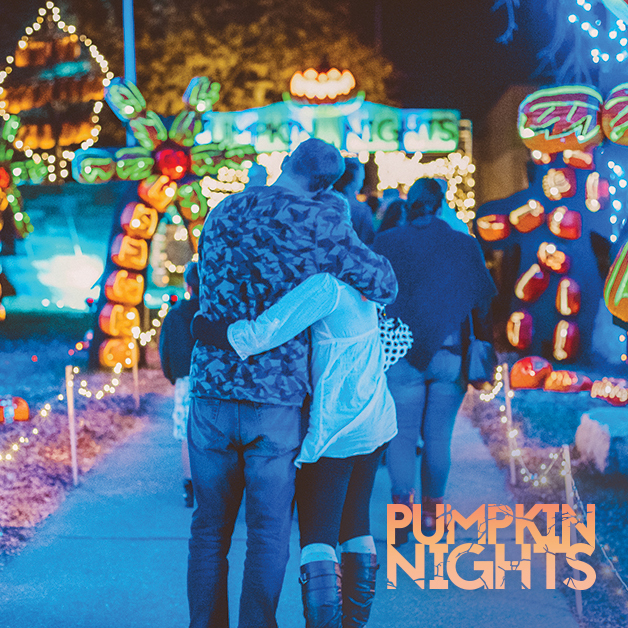 You can buy tickets to Pumpkin Nights online. It is recommended to buy tickets ahead of time since tickets do sell out for certain days. **Parking is located off of Auburn Folsom Road and Fairgate Road (behind the Berhard Museum). Parking is $6. *Limited to U.S. residents 18 years old and above. 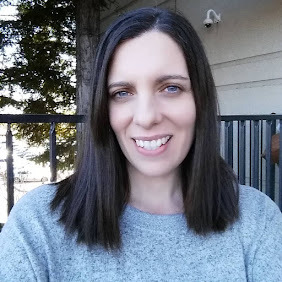 Giveaway starts Oct. 4, 2018 and ends on October 15, 2018 at 12:01 am PST. Winner will be emailed and has 48 hours to respond before another winner is selected. The opinions on this event are 100% mine and may vary from others. The sponsor is responsible for providing the prize. Winner will be provided code to use online to redeem tickets for date and time selected by winner.